Full Disclosure: I would NOT consider myself an interviewing or interogation expert by many people’s definition of an “expert”. I have been through The Reid Technique basic and advanced program twice formally, their child abuse training, and a couple of times when they were a module in other training. I have ALSO been through other industry experts’ full interviewing training programs. And humbly the schooling from doing real interviews and have made my share of (non-life altering) mistakes, thus why I keep training and training. So with 20+ years in corporate security, NOT law enforcement, and an ordinary, but trained, human being, that has done investigative interviewing, had the privlege of being second chair student of true experts during their amazing investigations and a trainer on interviewing myself, I have a few thoughts on the latest Reid Technique press. Bottom line: Great, high integrity investigative interviewing is HARD, but can be fun and enjoyable, and incredibly educational about human nature, but is is HARD. If you are law enforcement or a corporate security professional, investigative interviews is part skill, talent, technique, it’s not about a checklist or step 1,3,5,7,9. As I have told my students and others asking my counsel, if you don’t know how to do proper investigative interviewing, I begged them, please don’t. I have had to have my own interviews cleaned up and had to clean up other people’s mess also. I have never used The Reid Technique exactly like I was taught, but surprise, I have never done any task exactly how I was taught (#rebelous), just ask my late father. But I have used many parts of the The Reid Technique added them to other experts’ techniques adding in my own twists, and oh added in elements based on the totality of the circumstances to have had some pretty successful outcomes. I honor Mr. Reid and all of their instructors that have invested in my education and the education to others that I no doubt has saves lives and made nations around the world safer. They have been nothing but humble and wise and patient with teaching this ol’ student. For my clients, that range from Fortune 10 to faith-based organizations to up-and-coming students, The Reid Technique along with Don Rabon’s classes will always be my continued recommendation based on the integrity, research and passion to their students and our law enforcement community. BTW: I also honor other interviewing and interogation experts including, but not limited to Mr. Wicklander and Mr. Zulawski for focusing their mission on educating their students with high integrity, proven skills, no matter the technique. Though I have never been exposed to W-Z’s ways and means or met them, I still honor them, assuming their are operating their organization with the highest integrity and educating people and organizations with the highest quality education they can. 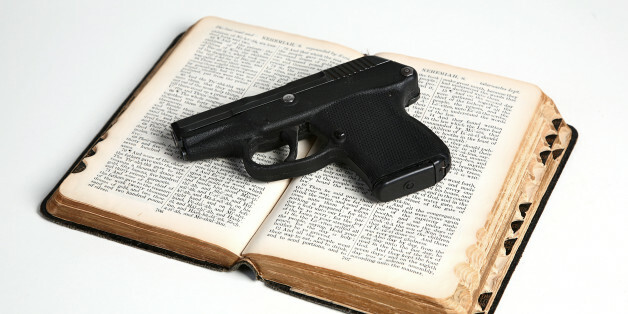 Guns – Should We Allow Them In Churches? Should We Allow Guns In Churches? So my professional and operational answer about guns in churches is, “it depends” and I don’t have time right now to go into MY views on the PROCESS to decide which is legally, operationally, spiritually, financially a complex process, but…. Recently I was talking to some of my amazing and really smart, peers in the “church security / safety (education) industry” and read some articles and news stories on this question. But this post is about a very small guide into the process, but I think a huge issue that I believe is missing from the conversations. I think most (probably not all) churches are mistakingly starting with the wrong question or at a minimum are not looking at this question in a non bias way. Here is my thought I have had for awhile on this question… If you took the cross off your building and removed “church” from your sign, letter head, business card, and you were just a company, with a building, visitors, money, employees, other valuable assets, and people that speak in public forums…. ……would you allow/want/implement guns in your company? The process for a church and a process for a company is almost exactly the same. Are there differences, no doubt, but these differences are probably 1% of the process, the other 99% is the same whether you are a company or a church. You may even need to leave the property to go through the process so you are not biased based on where you are sitting. BTW: Legally, financially, tax-wise, public relations wise, etc…….uh……news flash, you ARE a company, a VERY PUBLIC COMPANY and in the non-spiritual sense, you are a company first. If your board is made up of business people / owners, they may be a better or at least an ADDITIONAL source of “best practices” on the PROCESS then Billy Bob’s Church down the street. More to come on this topic, but kind-of needed to vent, hope it helps. “Why do you believe that?”, “But how do you know for sure?”, “How do you track it, monitor it, detect it, test it, measure it?”. The sad, but very common follow up answer is “because we have a culture of integrity” or “because we have a Code of Conduct / policy”. I can’t tell you how many times, I have heard companies that are as young as 1 year old or 15 years old, say, “we have never had an investigation of employee misconduct”. [Insert Humor] Last time I checked, most companies hire these interesting people called humans and suppliers/vendors that also, for some funny reason, also hire humans. Who doesn’t put “integrity” in our policies, employee handbooks, on posters, on walls displaying our company values. Hopefully encourage a person to act with absolute integrity today and not go down a slippery slope they may be heading towards, a good thing and it does work. Make the readers believe that integrity is not a problem here, a very, very naive belief. So we can believe that publishing will cause all integrity issues to go away so we don’t have to deal with them. A blinders / head in the sand mentality. We all know the value of every human that impacts our company’s success when they operated in integrity, but we struggle on our response when they don’t. “Why?” is our most common reaction. A mentor of mine once said, many times a integrity issue with the employee, is many times a reflection more of the supervisor than the violator….part true, part deflective. There must be a level of integrity violations that, through company culture or social culture that we allow to be exceptions to what we publish and enforce. So is there maybe a difference between “integrity” and “absolute integrity” that we have learned to accept/allow? Stealing a single pencil from the office supply cabinet that ends up for personal usage or making 3 copies for the Boy Scouts on the company copier – does that violate your company’s definition of integrity? Or does it take 25 pencils or 100 copies? Anyone have “limited personal use” in their policies, we didn’t have that a few years ago, why now, enforce to hard? “Work Life Balance”? Really. Discuss the difference at your next board meeting, ethics / compliance council, or lowly staff meeting. Obvious note: I am far from any personal success of absolute integrity, but every morning, I wake up and before my feet hit the floor, I fight with everything I have to reach it each day. 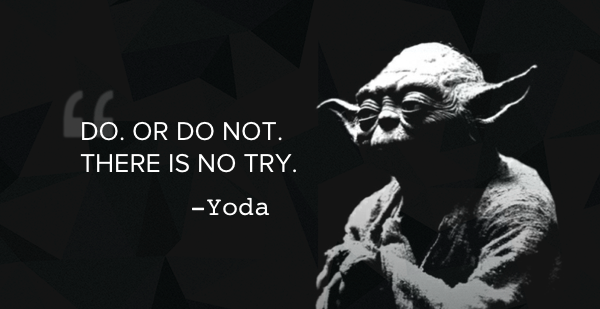 I fail often, I strive daily, will you and your organization do the same? Please, return to (absolute) integrity before the competition does or you are called to the table of accountability or the court of public opinion. People are watching, especially your kids. I am working on a number of “Letter to My Younger Self” posts, so here is my first edition, kind of just my small effort to pass along some wisdom / knowledge to up and coming professionals / students in my areas of interest. Cross Posted with my website. Hey you little punk, think your going to be so hot at Pen Testing? Listen Up!! Pen Testing is about changing a client’s belief system, not about getting the trophy. You don’t change their belief system your ROI is slim. The top most important rules of a pen test: 1. Defining scope / goal / “the period” / rules / time limits 2. Getting your “Get out of jail free” Card ahead of time 3. Providing SOLUTIONS to what you learn 4. Make sure the right people are aware. Pen Testing can be fun unless you break rule #1 above so have fun, but realize you are there to learn just as much you are there to “win”. Learning doesn’t get you paid, “win” knowledge for the client, that is why you get paid. If you get found or found and stopped, honor the defenders openly, they weren’t lucky, they were good. Calling them lucky is disrespectful. If you can’t provide operationally practical solutions (not just more consulting hours), don’t sign up to do a pen test. You can test your own organization and get good results, you don’t have to hire someone, but make sure you are skilled in the art and science and techniques. Pen Testing is not about a tool, its about a process and skill and use of your knowledge and wisdom all rolled into one small window of time and scope. 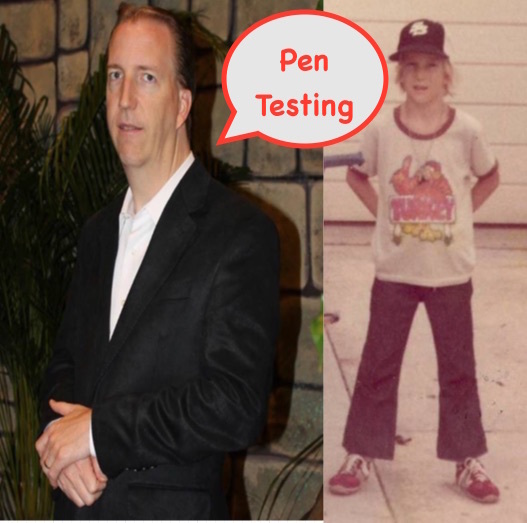 Pen Testing is about vulnerability detection, vulnerability discovery, incident response validation, intrusion detection, intrusion discovery, intrusion prevention, security operations process validation, training, mentoring, asset discovery, supply chain security, sales (there I said it), and much more. There may be times, where you find things so egregious, you should just stop before you reach the goal. You may even find violations (of policy or law). Stop. Your professor or Pen Test teacher are wicked smart people, but they are no replacement for your own studies, interning, listening, or plain ol’ hard work at 2:00am. Have a junior person documenting your steps and successes but don’t limit their participations, you will learn something from them, smarty pants. By the way, be glad you are that “junior person” sometimes. Consider a strong link analysis diagram, makes for a great summary picture at the end!! Pen Testing is not the same as vulnerability scanning, a cron job can do a vulnerability scan dude. If you are too textbook / academic in your approach, you may miss the obvious and huge holes right under your nose. First data acquisition target? Floor plans and company telephone directory, not a scan of a IP range. Hey what if the entire scope involves no IP addresses or URLs? Develop a “calling card” that you place in interesting places (physically / electronically) so you can show you have been there. Learning about the company and its structure, employees, supply chain may be much better “intel” then some vulnerability scan. Public information like Shodan, whois, reverse phone lookups, etc. are a gold mine for intel gathering, don’t try to make this too difficult. Conference room cabinets and trash cans should be part of the scope. Social Engineering / Pre-Texting are great tools for pen testing, but they may be illegal, and takes a special skill, don’t use unless you are great at these tools. If you are pen testing electronic systems, better know how to code and script things. 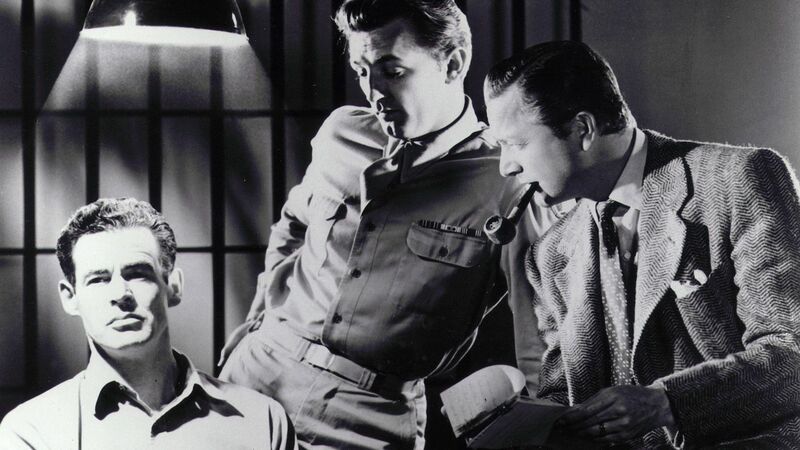 Watch Hollywood’s pen testing / social engineering movies to get “it worked in the movies” out of your brain: Sneakers, War Games, Catch Me if You Can, Ocean Eleven, etc. If you can’t provide proof a vulnerability was exploited, its a theory dude, don’t use it/write it up. “We could have gotten in”, “We found a system that is vulnerable” are not words you should be using in communicating the results of a pen test. If you can’t find a way in or don’t get to the goal, honor the organization with a strong warning. Pen Testing is a moment in time. The good or bad results of your testing can very likely be out of date the second your finish your testing. You find process problems, your solutions can provide long term value, you find a vulnerability that can be mitigated, the value of the finding could last only as long as a patch is installed (minutes). Remember the audience of your final report/presentation will have a variety of emotions, get over it. Some will hate you, laugh at you, appreciate you. Want a great end report, take the stressed out sysadmin/network admin for lunch before your report goes “up the chain”. Ask him/her what resources they need you to recommend to help them. They may know of other dark secrets that help you. This was not training or a replacement for formal training, boss won’t pay for your training, that’s your personal budgeting problem not your boss’ problem. Pen Testing Rule #0 is operating with ABSOLUTE INTEGRITY and total transparency (to the right people), honor people, pass out business cards, building relationships, but its okay having a little fun scaring the client just a little. Read you company’s travel/expense policy word-for-word. Keep a copy at your desk. Any questions ask!! Yep, I try to never check baggage on business trips, but ALWAYS be prepared that it may get checked for you and you need to buffer in time on the destination. (Guy thing) I empty pockets, watch, jewelry, etc. before going through TSA. I put most everything in the backpack or pockets of my jacket so when I take the jacket off for TSA, I’m all set. Remember the TSA agent is a human being, you say: “Good Morning Ma’am / Sir”, and “How are you doing?” Questions, the answer is “crazy times” or “awesome” even if you are having a tough day, they want to talk to another human that is as bored as they are. Cell phone – QR Code based boarding pass, don’t like them at all, most of the time they don’t work….I do the paper boarding pass at home or kiosk/counter at airport. Plus the paper record helps better track trips for company records or if there is a missing mileage issue. Assume from the time you land and you get in your rental car and you are on the road averages 60-90 minutes. Plan your time to be at TSA with minimum 1 hour to spare is always my goal (use of Kiosk and PreCheck help this) for domestic flights. If I don’t know my exact schedule coming back, I always get the last flight back (not red eye) and then go on standby. Only had to stay over once, but get on earlier flights almost always. I change to the destination timezone AS SOON AS I SIT DOWN on the outbound flight. My weird body is blessed with easy adjustments to time. When you book your ticket, select a good seat, wait about 60 minutes, then logon to the airline’s website and move to the best/free seat. The booking systems don’t recognize your airline status as well as the airline’s website. 23 hours 59 minutes before your flight, most airlines will open up most of the reserved seats and all their pre-arranged upgrades have been cared for by this time. Check on the kiosk when you check in for a better seat. remember a “better seat” (http://www.seatguru.com) is not necessarily in front of you. I am primarily an aisle person for the same reason many others might mentioned, but if I am in a no-work/sleep mode, I might change to a window seat to lean my head. (Note: I can sleep from the minute I sit down to when we land, I’m weird in that way). Most aisle seat arm rests actually can go up to make getting out or moving out of the way easy. Feel under the arm rest for a small button. I have changed seats 4-5 times from booking to sitting. I have been sitting in a seat and they moved me to a better seat so never be afraid to ask, but don’t let me take your boarding pass and say “we’ll call you”. I don’t rent a car in NY (Manhattan). I don’t rent a car in Washington, DC, if I am covered well with the Metro. I 50/50 rent a call in Atlanta if I can use the MARTA. Depending on the time and location of venues/office/hotel, I may stick to cab or arranged car, I am not a security/timing fan of Uber quite yet. But I like having the control with my own car and since I don’t drink, I sometimes become the designated driver. Remember that some airports do not have a gas station close by when returning if you care to refuel. Remember room key can get erased with certain wallets. I split cash between regular wallet and travel wallet (and other areas, if international), but always have a few bucks available for tips. Wallets never leave my person. Get you a rubber door stop, great for room protection when used in reverse to keep the door closed. Assume hotel room does NOT have a safe, and if they do, it will be too small for most electronics. Plan on locking your roller board and backpack in the room with a TSA lock when leaving the room. When getting in a cab/shuttle, never let them put your backpack in the trunk/”in the back”, it stays with you. If getting picked up at airport, have driver hold sign with just your last name (no hotel/company information) and if you really want to do good, use your maiden name, ladies. Be careful some hotel peep holes are TWO way….yes for safety reasons. PACK like you are leaving the hotel to come home, UNPACK like you are leaving the hotel to come home. You might have a change of plans quick. Each night you pack used stuff, like you are leaving the next morning. Shirts first, they wrap up around (“hug”) the other clothes…. (don’t shoot the messenger) – ALWAYS assume you only get one pair of shoes and that you will walk outside 10x more than you thought you would. Great for the fitbit, hard on the feet. Small umbrella if you can fit it. When leaving for the airport (either way), remember there are only 2 critical items, your wedding ring and your (travel) wallet, your company laptop/documents, might be a close second. Clothes, shoes, suitcase, ipad cable, all can be replaced. Either Flight Aware, FlightTrack and/or FlightBoard (good for tracking the INBOUND flight that you will be getting on). Google’s Flight tool is a good independent quick check tool for flight options. For American, 25000 miles = Round Trip Ticket (unless you do some shopping). For American, a reward mile used to equals about .01 dollar value. So compare your airline to this vs. points vs. buying tickets. Look for cross reward partnerships for example, American / Citibank / Marriott are all partners with each other, so the “deals” add up better since they are partners. 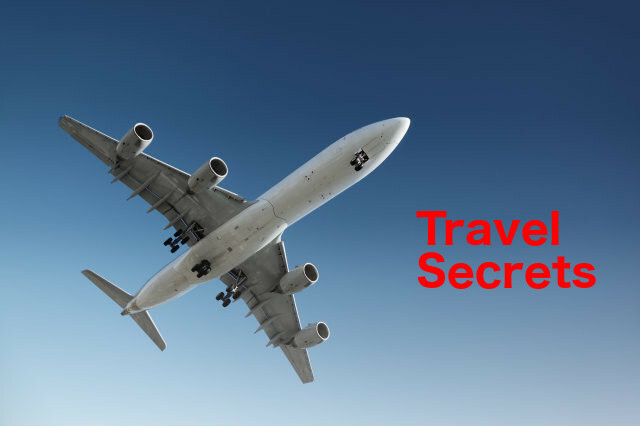 For American, they many times have bonus miles that your should look for BEFORE booking. Think about location…..sometimes closer to the airport is better than closer to the office / client…..sometimes better to be closer to a subway/metro train…. I don’t stay long so the ones with a kitchen don’t do much for me. Always assume you can NOT get good quality wifi or good signal for cellular. Most popular now-a-days is a Mifi Access Point. Get a laptop power adapter that has BOTH regular plug and car plug via interchangeable cable. Before your next visit, email them and thank them and ask if there any suggestions / specials. Build a rapport for the manager / chefs and it will pay off!! As my students and clients and past audiences know, I think many make security and fraud out to be something complicated when its not so here is another view of The Fraud Triangle. The methods of the bad actors can absolutely be complicated, which makes chasing them FUN. The principles, the root cause, the why, many times are quite simplistic. Whether you are in a parent, a Fortune 15 multinational corporation, a small “mom & pop”, a 100 person NGO, or a 35000 person megachurch, the principles of bad behavior have something in common. 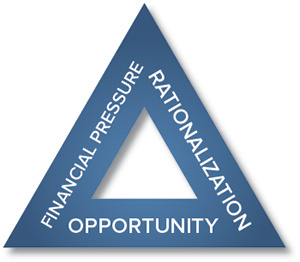 The principles are what is generally known as The Fraud Triangle by the great criminologist, Dr. Donald Cressey. I learned about The Fraud Triangle over the last 17 years from the amazing organization called The Association of Certified Fraud Examiners (The ACFE / @theacfe). When a child is in your home and there is a cookie jar, the principles behind taking a cookie is rooted is the same principle as the biggest fraud you may hear about on a show like American Greed. When you took that pencil or pen home from work or the hotel, the principle for why you took it, is rooted in the The Fraud Triangle. No different than the typical act we consider to be fraud, like stealing a customer list or other confidential information or money from one’s employer/organization. But Jim, really, my 5 year old is not a fraudster and how dare you call me a fraudster for this pen from the Hotel California….like you never committed fraud as your describe it. Ah, but I didn’t, I am purely using a well researched concept of The Fraud Triangle to focus on the concept of living with Absolute Integrity and bringing up the next generation with a healthy fear of the consequences of not striving for Absolute Integrity everyday. We are _________, We don’t __________, We have ________, so we don’t have fraud. Wow. I am amazed at how scared organizations are at using the word ‘Fraud’. A great fraud examiner that I had a privilege to work with for too few years recently, Cheryl Davis, always joked about “The ‘F’ Word”. I didn’t fully grasp her wisdom until recently. The word ‘fraud’ is so feared that is has become almost part of the “bad four letter word group” in many organizations. “What do you mean Fraud?”, “I don’t consider that fraud”, “That’s just a management issue”, “That’s just a petty issue”. There are no fraudsters in my house, church, organization, how dare you. Hey if you have people that work for you as employees or suppliers/vendors, look in the mirror and say it, “I am vulnerable to the ‘F’ Word”…I mean, Fraud. If your 5 year old can justify stealing the cookie, you and your fellow workers can justify many other more malicious things. OPEN OPPORTUNITIES for the fraudster or child to be rewarded for finding their passion and providing small, ongoing rewards for creating new opportunities for you, your organization and the next generation. REPLACE RATIONALIZATION with rewards that are as diverse as your organization. Not just the best pay, but the best benefits, the best culture, the best place to work, the best listening skills. The best doesn’t mean perfect, the best means don’t do it unless you can do it with excellence that involves everyone. PURSUE PEOPLE’s PRESSURE with conversations and culture and rewards for transparency. Don’t put the employee recommendations box over the top of the trash can. Post them on a wall with a big green check when you have implemented them. Develop benefits that pops the pressures of the world. Tell your story of the pressures you are under and how you handle them. 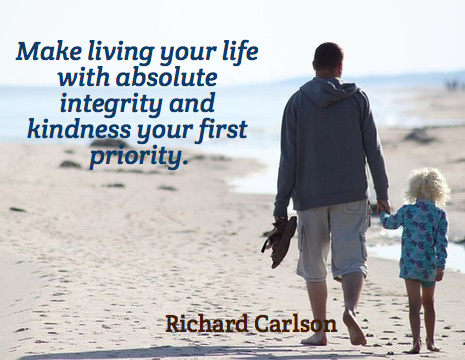 Whether it is a note on the mirror in your bathroom or office or car or a foot mat next to your bed or a daily calendar reminder or all three, create a daily “stop” in your life that forces you to challenge yourself, “I will operate my life with absolute integrity today. I will reflect absolute integrity without using words. I will challenge my family to absolute integrity through love and example”. 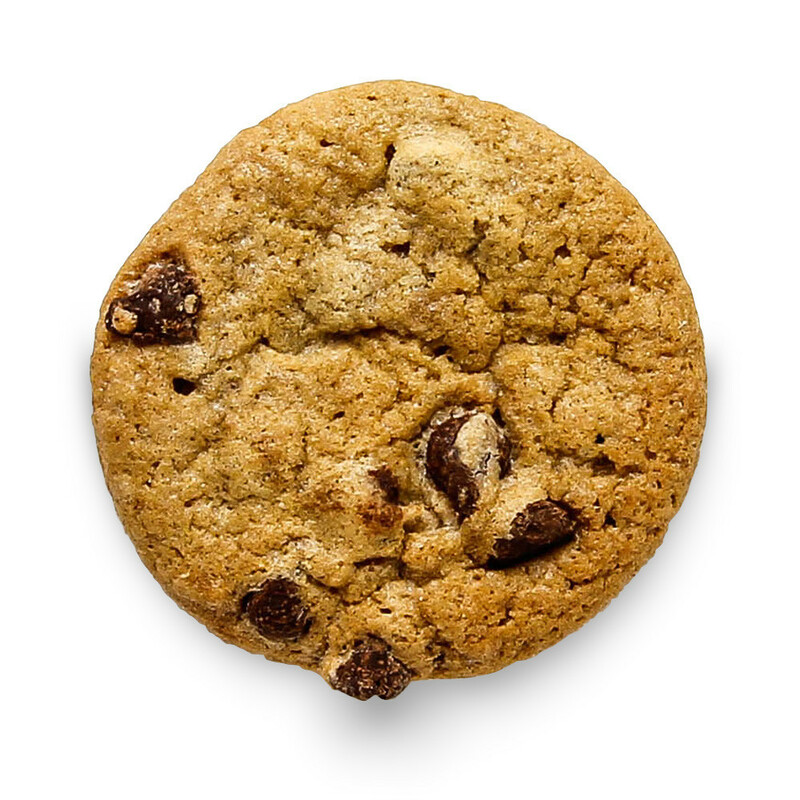 Okay Jim, I will ‘try” to no longer take the cookie…..
Start with your daily effort to live with absolute integrity and not as a fraudster and then become contagious. Need / Want some (almost) free software for your church? Back in 1994 when I started full time in Corporate Security, I found out real quick that I was analyzing raw data on a regular basis for security purposes. It wasn’t as formal as it is today in the technology or business world, but it was data analytics. In the last few years I have dived into the topic on a daily basis looking for a variety of answers to questions of the data to get the data to tell a story. I use a small but diverse toolbox of tools, including but not limited to Excel, i2 Analyst Notebook, NodeXL (my newest), and Tableau. I learned about Tableau from a large supplier that I didn’t have budget to buy their wares, but we had a good relationship and they recommended I look at Tableau. Within the first few days, I was hooked, I was solving problems, and getting new answers that frustrated me for years. If you are an Excel fan and do any kind of data analysis, I would encourage you to look at Tableau. I “simple” example of Tableau that I did for you is Carl Chinn’s church crime stats here. Check out LifeChurch.tv’s discussing using Tableau at the User’s Conference last year (2014) in this video and their presentation. Today Tableau announced Tableau for Non-profits and I think this is both awesome for their corporate responsibility program and in my selfish case, and awesome opportunity for churches and church security organizations. Tableau also announced Tableau Service Corps, which is a group of Tableau experts ready to help you with your data analytics program. Church (Security) analytics can be as simple as attendance to as complex as geographical analysis of attendees. Would you all be interested in a Tableau Demo? Sign up for our church security mailing list and put a comment in below and if we get enough interest, I will get one scheduled. Get data, analyze it, tell a story to a safer church. Shout out to Kris @ for this resource! Okay, I admit I am generally NOT a fan of checklist security assessment with one exception, when a organization (yours) doesn’t have full time security team / professional available and has a desire to improve their posture AND commits to engage with a trained security professional based on the results. Kris Moloney is a great church security professional and developed this excellent Church Security Assessment. The important thing is for you and your team to complete the assessment honestly and completely. In fact, have several people complete and compare answers. Ask yourself, are you completing it based on what is fact, what you think exists, or what someone has told you? Even if you have to physical walk around your organization / building with the assessment, do it. Please email Kris and thank him and share this post with your fellow church leaders / churches. As always, feel free to reach out to me if you have any questions. BTW: If you are planning on being at Gateway Church’s Leadership / Pastors Conference this year, I will be there again and available for one-on-one FREE discussions on your church security questions. I will have two give aways for 3 hours of consultation at the conference. I will be volunteering, but just email / DM me on Twitter and we can find a place to meet up. My Church Security – Just Give Me a Church Security Manual….and I’ll be all set. Church Security Manual – Check – All done…….Really, I hope no one has convinced you that a church security manual is the answer or will contain the answer. I have seen some of most immature security practices in large organizations that have a security manual that was 3 inches thick. Now I am a fan of a church security manual but for a specific set of purposes. I am a fan of training using a church security manual. I am a fan of pocket guides that are a subset of a church security manual. Here are a FEW of the domains/sections/documents that should exist, of which a few I will provide you a template when you sign up for our mailing list and let us know which specific ones you are looking for. Internal employee, Internal Contractor/Vendor/Supplier, Volunteer are three different groups of people that you need to consider when writing your church security manual and think about the audience, the maturity of the audience, the impact on the audience, etc. A good church security manual AND church safety manual are critical both in day-to-day assurance and in crisis. But remember, people aren’t going to be running to find the manual when a incident occurs. Thus the critical piece is awareness / training and retraining and retraining on the CONTENT and CONTEXT of the relevant part of the manual. The #1 part of these manuals is not the STEPS its the scope and the roles and responsibilities. My Church Security – Where do I start? I know never answer a question with a question, but this will be a contextual exception. Where should you start? 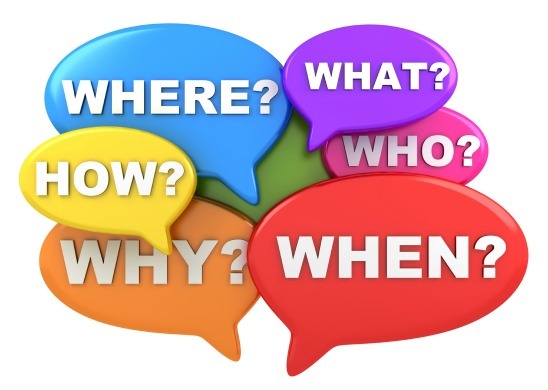 Start by asking yourself or your team, “do I understand I have a security apparatus already? All I need to do is understand what I have today, what else I MIGHT need, where should I start to move forward.”. Future blog posts will focus on a FREE tool I created to help make this SIMPLE. Last question, assuming you are the champion of this work, do you have a trusted, available individual, preferrable trained, that will be your go-to person for this moving forward. I know this is strange, but let’s hold on “do I have any money?” question, don’t want to spoil the fun before we start. I’m also going to hold off also the question, “do I need security”, I think my blog will end up answering this question in the end, without going crazy with a complex threat assessment.